Click on the Course Title to see dates and a course description for each course. 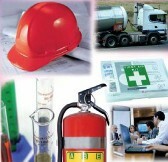 Ultimate Safety offers a wide variety of training solutions for your company. All of our training courses can be customized to your work environment. Our lead instructors are NAIT certified Master Instructors, thereby providing your company with top quality training. The purpose of this 7-hour program is to teach a responder how to evaluate and manage a sudden cardiac arrest with CPR and AED, until Advanced Cardiac Life Support (ACLS) is available. Website design and maintenance by Windsor Graphics.